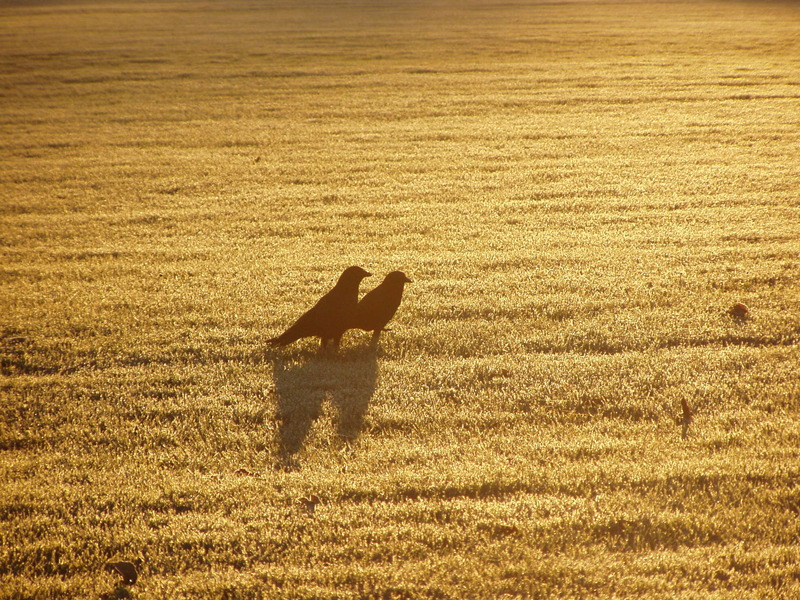 Mr. and Mrs. Crow going out for an early fall breakfast! Grab a friend and head out into some early morning nature. Feel the sun. Breathe some crisp fall air. Order some worms over easy and a side of beetle!